Content Marketing World 2016: Mark Hamill announced as closing keynote! Content creation PLUS a sci-fi theme for CMWorld 2016. If this isn’t a perfect fit for our news today, we don’t know what is. We’re thrilled to announce Mark Hamill as the closing keynote at Content Marketing World 2016! You may all know him best from his role in the 1977 classic, Star Wars, but looking at his career, there is so much more to know about this star of stage, screen, TV and new media – ranging from Broadway to voice-over work. 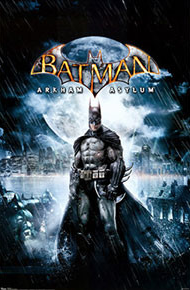 Most recently, Hamill received critical acclaim for his reprisal of The Joker in the 2009 action-adventure video game, Arkham Asylum, which is based on the DC Comics superhero Batman. Hamill is also a producer, director, writer and content creator. We’re looking forward to hearing his unique point of view on the creation process. Based on attendee evaluations from previous years, the most-valued keynotes have left attendees with new ideas, great inspiration, and a little “star” value, with a connection to what we do each day. 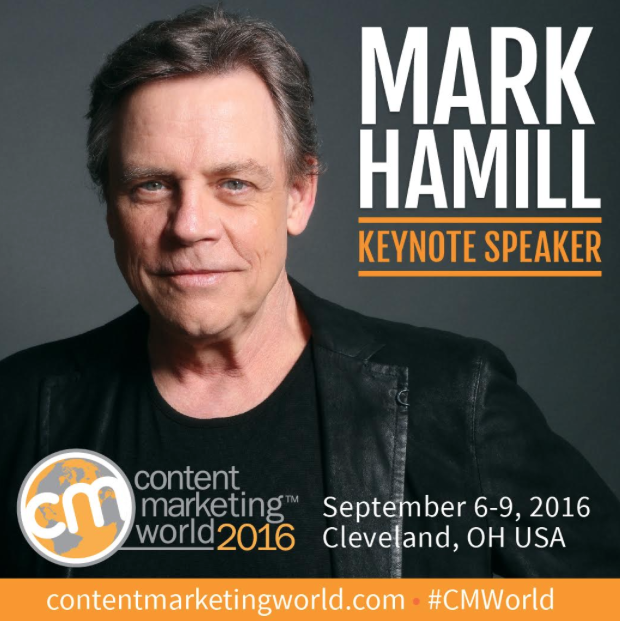 We hope you’re as excited as we are to welcome Mark Hamill to Cleveland this September for Content Marketing World 2016. I truly hope to see you and your team there. Our early bird pricing goes away on May 31, so be sure to sign up today. Use code BLOG100 to save $100! Looking forward to seeing you Sept. 6-9 in Cleveland.